The best real estate agent websites are polished, quick loading, easy to navigate and engage potential customers. 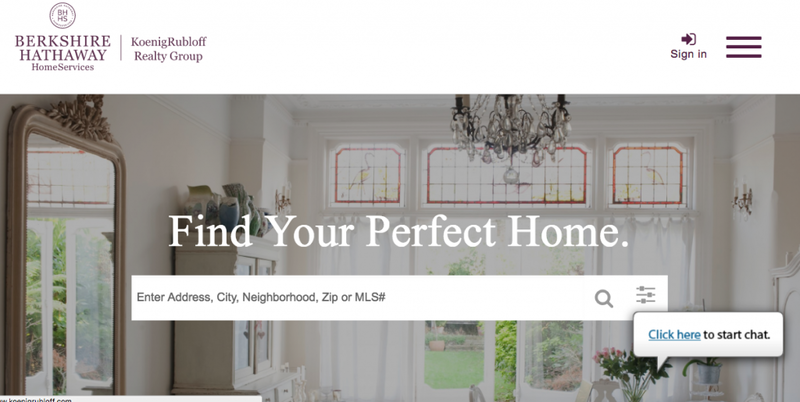 We’ve compiled a list of 25 real estate agent websites that best represent these goals and that bring in high-quality leads, as a result, to help guide you when designing yours. Here are the 25 best real estate agent websites and tips on what you can do to make your own outstanding. When Ricardo Olea was a busy agent looking for a website that could appear professional, capture the feel of San Diego living and be a lead generation machine, he chose Placester. 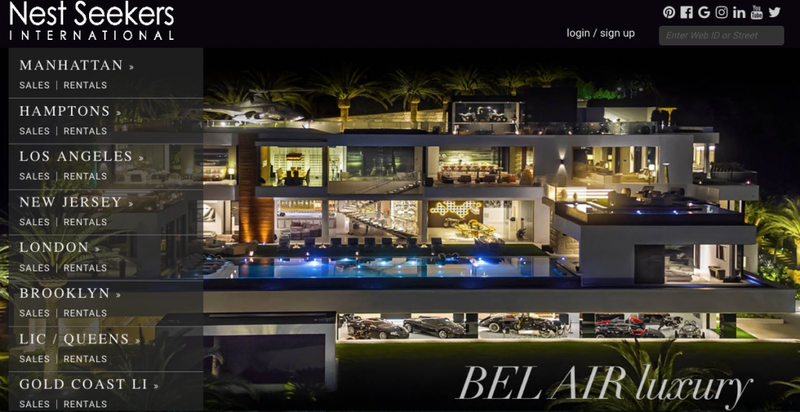 According to Olea, “it is the smoothest and most straightforward website that any agent could ask for.” He remarked that having a publishable template that could also be personalized was high on his list, and we agree that it turned out wonderfully to capture the vibe of being there in person. There are so many things that Corcoran does right but its blog, in particular, stands out. It contains outstanding content for the audience its serves in New York City, The Hamptons and South Florida. By capturing the attention of readers, the company keeps audiences engaged and instills a sense of familiarity. Having a blog so good that potential customers come simply to read it on a regular basis makes it far more likely you’ll be selected when the time comes to buy or sell a home. If you’re struggling to come up with engaging topics, we give 25 killer real estate blog ideas. If you want a real estate website that looks professional and is easy to use and update, Jeff Nelson of IXL Real Estate said that he’s been using his website from Placester for three years. Nelson puts in the work on his site, reporting that he blogs a few times a week and takes advantage of the features that use the platform to its fullest. For busy Realtors, outsourcing to the right company can be a game changer. If you want to learn to build your own IDX-integrated website using WordPress, take an afternoon and check out our guide. While the website has a call to action and encourages searching, there is no doubt about what kind of incredible properties can be offered here and that’s exactly what pays off for Joy Bender. Almost all agents have properties that aren’t magazine worthy, but what you put front and center should be the best of the best. 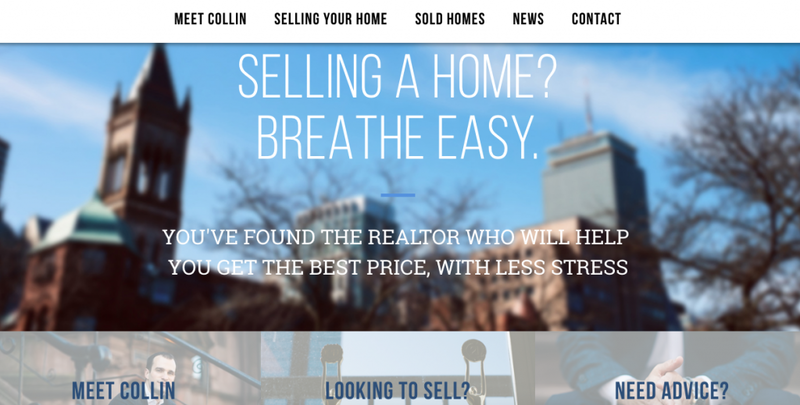 A recent speaker at Inman Connect NYC, Collin Bray reported taking great care to craft a real estate agent website that took more than a year of planning and design. You’ll see that Bray reaches out to the potential customer by offering a glimpse into who he is and offers to help alleviate the pain points that so many home buyers and sellers experience. 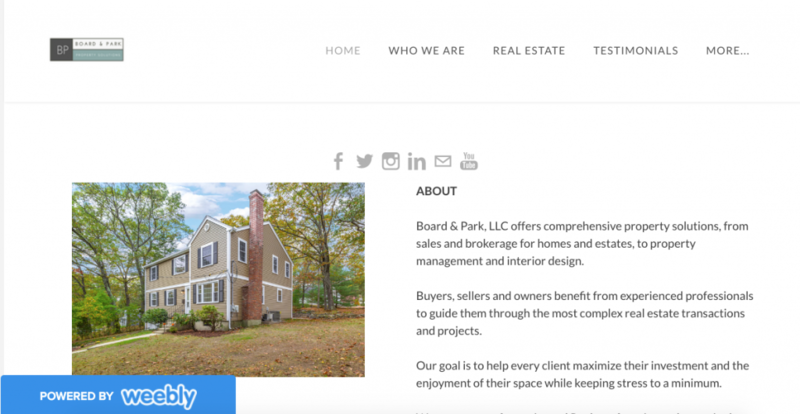 To reduce your time in planning and simply use a real estate website template, we offer you 25 template examples and how to choose the perfect one. If potential clients like what they see, you want them to be able to connect with you across platforms as well as to share your content within their network. Make the process easy by displaying your social media buttons prominently to give them an opportunity to learn more about what you do, see your listings in a different light and even interact with you. Tory Keith, the president of this brokerage, has a fast lead-generating website built on Weebly that directly connects to his social profiles. Although most real estate agent websites hook up easily to social profiles, using them properly can boost your business and gather an entirely new audience. Here’s how to use Instagram for real estate in five easy steps. There are many ways to gather leads through your website, and Tracey Hampson uses them all to wonderful effect. When you enter the site, there is an immediate popup, but it engages the visitor with a fun message rather than a typical solicitation. As you scroll further down the site, there is a search option and a traditional “contact me” form. Hampson says enthusiastically, “I love my website! It’s easy for the consumer to use, to customize where and how I want, notifies numerous ways via text and email when I have a new client!” Being able to chat with new clients and nurture those leads is certainly part of what great real estate agent websites are all about. Build on your website momentum and integrate other real estate lead generation tips the pros use. Brown Harris Stevens is one of the most exclusive luxury firms in New York City, but its services are clearly available to anyone from any country around the world. It has agents listed who speak Afrikaans, Arabic, Croatian, Dutch, French, German, Greek and Hebrew to just name a few (yes, there are far more). Highlighting agents who may speak Spanish or be able to translate for the hearing-impaired can be a huge benefit for the right client as well as make you the obvious choice for his or her real estate needs. 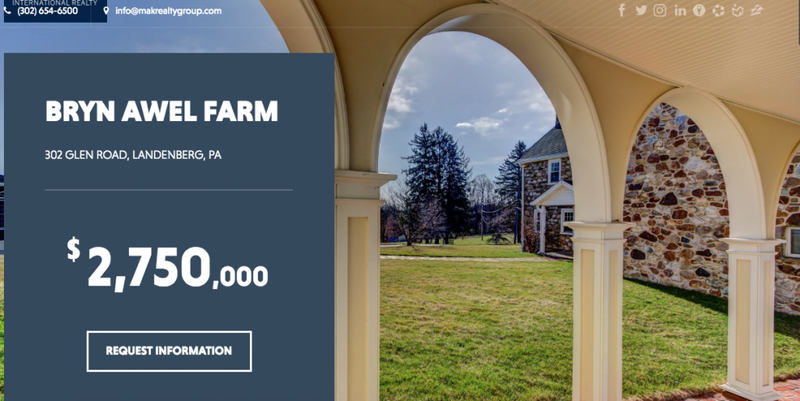 Michael Kelczewski with Sotheby’s has a website that showcases some of the finest properties in the Brandywine Valley. It’s wonderful when real estate agent websites can lead you through a property and give you the feeling of being on an exclusive tour and this site does just that. With stunning visuals and a clear call to action, Kelczewski’s website encourages visitors to see what else might be represented in the area. If you haven’t yet conquered filming the perfect real estate tour, we’ll give you some great direction in the four real estate videos every agent needs to master with 15 tips to do it right. City Home Collective is a unique firm that both sells real estate and offers design services in Salt Lake City. From the initial introduction, you see that there is far more than a traditional real estate company behind the home page, and the tabs below allow you to explore these in greater detail. For the right client, searching homes as well as design offerings is a winning combination. For real estate agent websites to shine, showcasing what sets you apart from the crowd is one way to capture attention. While not all real estate agent websites can offer home design services, every agent will likely encounter staging situations as his or her career progresses. See our home staging tips and feel like a pro in no time. This website was a template by Real Geeks that allows agents to create areas that personalized and branded the page for their use. Check out what it can do for you. Most brokerages don’t reach success on the efforts of one single person, so it’s important to highlight the people who make your business thrive. 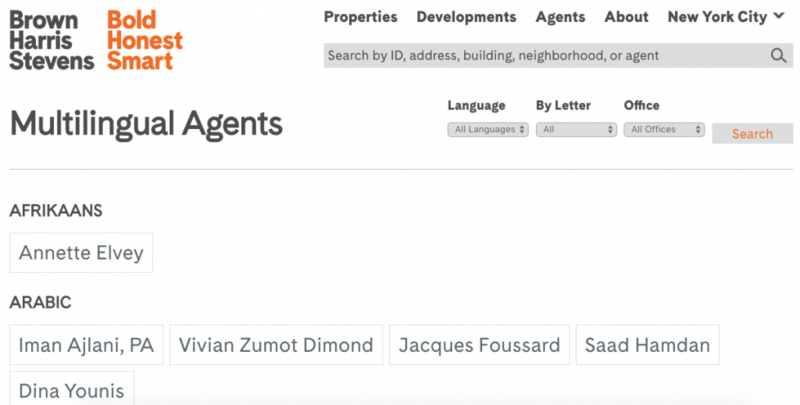 While some brokerages place their team on the front page as this one does, others include a section that gives information on each agent for potential clients to learn more about him or her. Whatever approach you take, making your team shine makes you look like a force to be reckoned with. If you’ve ever thought about starting your own real estate brokerage, here are the basics on how to start and structure one. The moment you enter the website of Glendale Diggs, you are met with snippets of testimonials and encouraged to read former client stories. It is immediately apparent that Glendale Diggs values meeting client needs and that its clients are thrilled with the services provided to them. 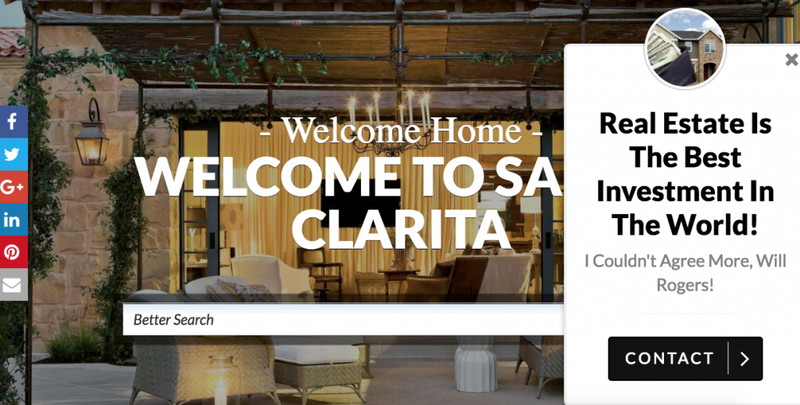 The buttons at the bottom highlighting its blog, a home search or contacting them regarding a listing are clear, but the client experience is clearly front and center. 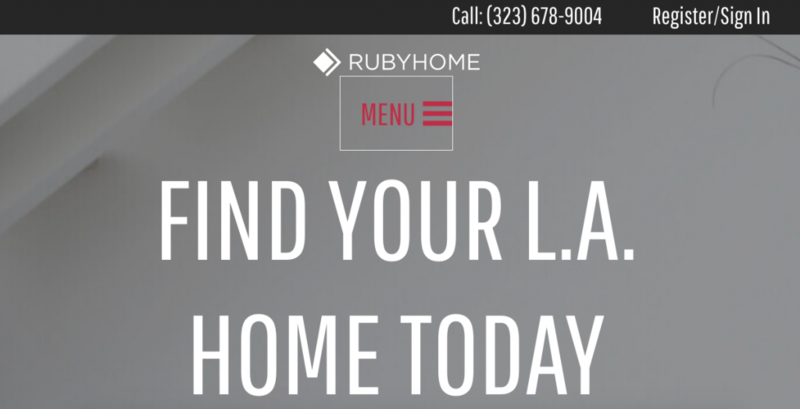 Sometimes, the best real estate agent websites are simple, functional and lead the clients exactly where you want them to go. By emphasizing user experience and how potential clients interact with the website, Nathan Garrett has found success. 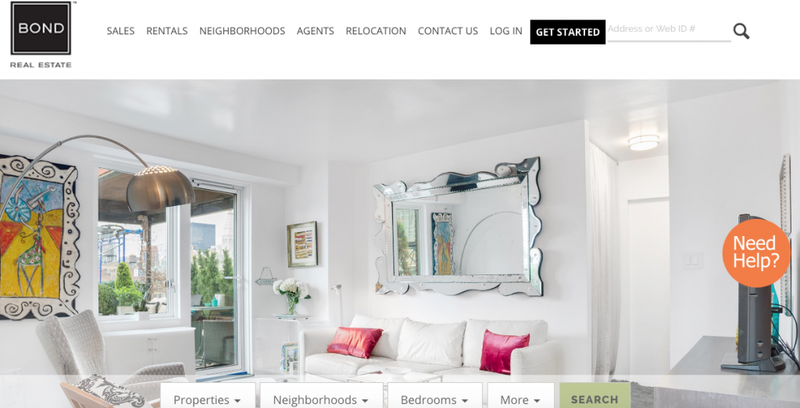 The ins and outs of real estate agent websites can seem mind-boggling, so we interviewed the experts for some fantastic real estate website design tips to help make the user experience even better for your potential clients. Whether selling luxury homes or duplexes, search engine optimization (SEO) is an important element of solid real estate agent websites because it helps the potential customer find you. The Duplex Doctors report that it has sold more duplexes in Minneapolis for the past five years than any other group and that this is partially attributable to its SEO. It reports that its real estate website ranks on the first page in Google for almost every relevant term for small multifamily properties in the Minneapolis area and that this has been a great driver of leads. The Atlas Real Estate Group helps individuals purchase homes but is also heavily involved in property management and assisting individuals with investment properties. Telling its story is important to the type of work it does, and it can be an important element to many other real estate agent websites as well. Allowing people to know where you come from and what approach you take can be the make or break element for potential clients. If you’ve ever thought about using drones to make an eye-catching first impression about the neighborhood you represent, begin with our drone photography and video guide. When you visit the Bond Real Estate website, immediately you notice that a few things stand out: the brand itself, the “Get Started” button, search button and help button. 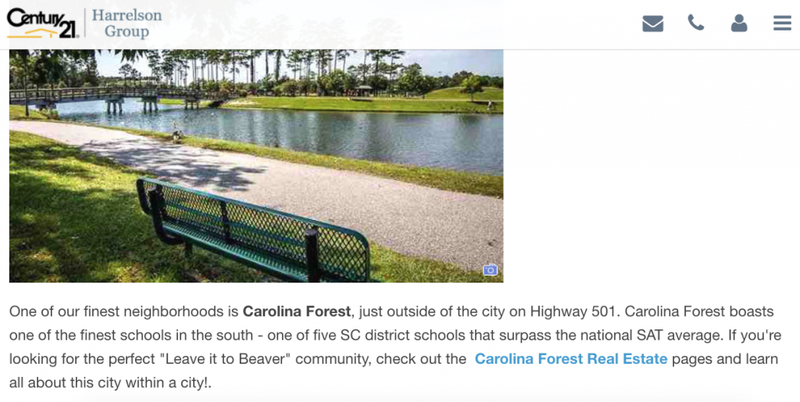 Bond uses color and highlighting effectively to guide visitors who come to the page to advantageous areas that may also help potential clients find what they’re looking for. If you notice, many real estate agent websites use color or highlighting to help focus the attention of the visitor. Use this as a strategy to guide potential clients where you want them to go! The Brendan King Group opens its website immediately with the option of either searching for a home or getting your current home’s value. While you can navigate to other areas in the top bar, this immediately offers value to a potential client. While it’s certainly not uncommon to have a real estate search features (in fact, quite expected), offering to get a home value estimate at the forefront was a smart play by this group. Sellers who might only be browsing will be immediately attracted to this value proposition as well as homeowners who are simply wondering if it might be the time to downsize but were expecting only a simple search. Sometimes, we assume that clients know what we do, but the truth is you have to be direct. The Williams Team gets it right by not only being front and center about what it offers (sales and leasing) but also having a client portal that provides all the paperwork a client needs. By providing all necessary paperwork in a digital format and having it accessible easily, its website creates one cohesive package. While some agents are still figuring out what area they’re really “specialists” at, many would love to take the leap to luxury. The Close offers a fantastic interview on how to become a luxury listing specialist to get you headed in the right direction. Pop-ups, chat features and other technological elements are far more available than they’ve ever been and when used tastefully can generate leads and engage potential customers seamlessly. Being tasteful is the key here. You’ll notice that Koenig Rubloff has integrated a chat feature, but it doesn’t detract from the feel of the site at all. When users click on the chat feature, they have to give their contact information to continue. While visitors to the site have many ways of searching property or learning more about the realtors, the chat feature gives them an opportunity to gain leads and get more information. 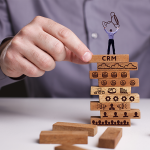 The Close offers an incredible article examining 19 game changers in real estate software, from AI to chatbots and more. 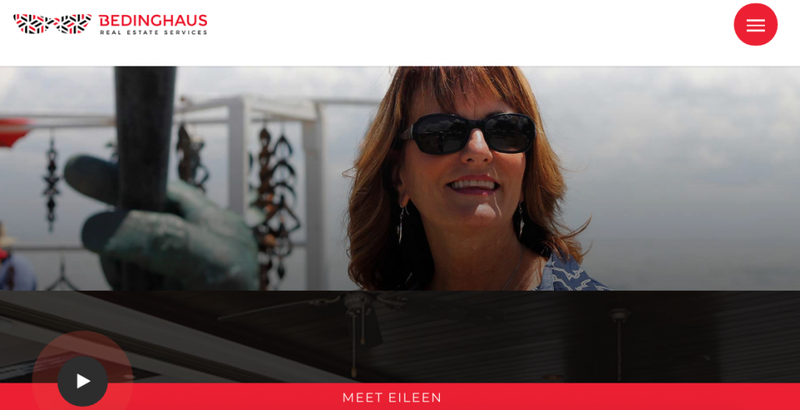 Eileen Beddinghaus has been in the real estate game for more than 30 years and knows St. Petersburg, Florida, like the back of her hand. She capitalizes on her knowledge, experience and love of the area by becoming a forward-facing brand presence. While not all of us can be Beddinghaus, embodying your brand is an important way to personalize your business on your real estate agent website. While real estate agent websites are an important element, branding is a multifaceted venture that cuts across platforms and takes into consideration your client needs. Our ultimate guide to real estate branding will help you parse out your strengths and capitalize on your best assets. The RE/MAX PRODIGY team uses Placester to create its website, and we loved the ability to highlight each team member’s approach at the bottom with a personalized slide. Doing this allows potential clients to connect with a particular agent and helps them understand how each team member contributes his or her individual philosophy to the team. Using high-quality photography lifts a website to the next level instantly. You don’t have to have a custom site like Nest Seekers to use photography to its fullest. Even using great photos within a template can both elevate and solidify professionalism in your brand presentation. To learn more about how to take quality real estate photography, here are our top 25 real estate photography tips. The top real estate agent websites offer great examples of areas to build on for your own site moving forward. While custom sites can be pricey and do-it-yourself platforms take time, there are always services available to help you if you haven’t started the process. 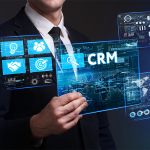 We have appreciated the user reviews on Real Geeks and like that it not only offers websites but also adds customer relationship management integration that lets you track, segment and follow up with leads. Best of luck as you craft your web presence online!